With the release of Uncharted: The Lost Legacy coming out in a month’s time, I figured now would be a good time to finally play the Uncharted series. 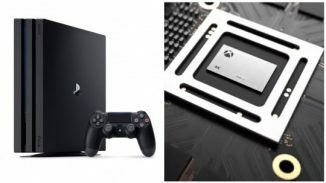 I do have experience with Uncharted 4 when it came out in 2016. I had gotten the Uncharted: The Nathan Drake Collection for PS4 around this time last year meaning to play it, having yet to get around to it. So I am going to review all four of the Uncharted games leading up to Uncharted: The Lost Legacy. So here is the first review out of the series! 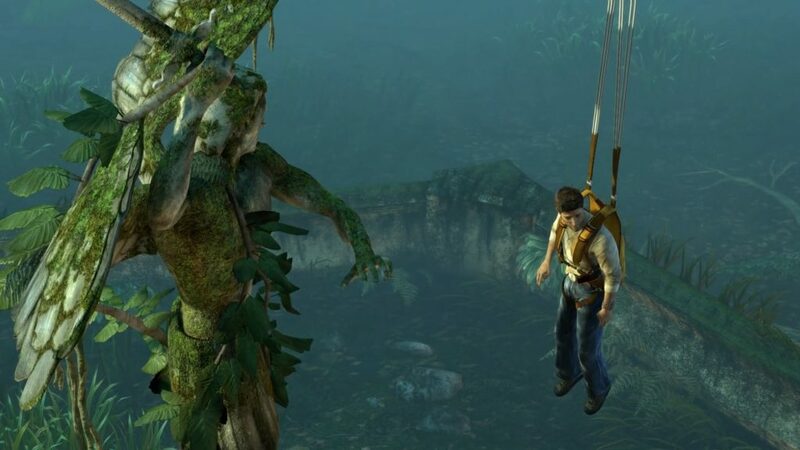 The basic overview of Uncharted: Drake’s Fortune is that you play as Nathan (Nate) Drake, treasure hunter and you are accompanied by Elena Fisher, a reporter, and Victor (Sully) Sullivan, fellow treasure hunter on the way to find El Dorado. When you first start, you find the coffin of Francis Drake who Nate believes that he is a descendant of. You find Francis’ journal and as soon as you find it, Nate and Elena are found by pirates. This part is sort of a tutorial as in shooting and hiding behind stuff while being shot at as well as hand to hand combat. Sully saves the day by coming in with the plane where then you are then taken to an island where they leave Elena behind. Nate and Sully explore the island to come across a German U-Boat and find the missing page of Francis’ journal and you met the main bad guy of the game, Gabriel Roman. You then manage to escape Roman and then you run into Elena on the island. Then you guys manage to leave the island to go to where El Dorado is located, however, your plane is attacked and it crashes leaving Nate and Elena separated. So Nate travels the island looking for Elena and once you find each other, you are introduced to another of the bad guys in the story, Eddy Raja. After escaping the clutches of Raja, Elena and Nate explore the island looking for a way to get off. 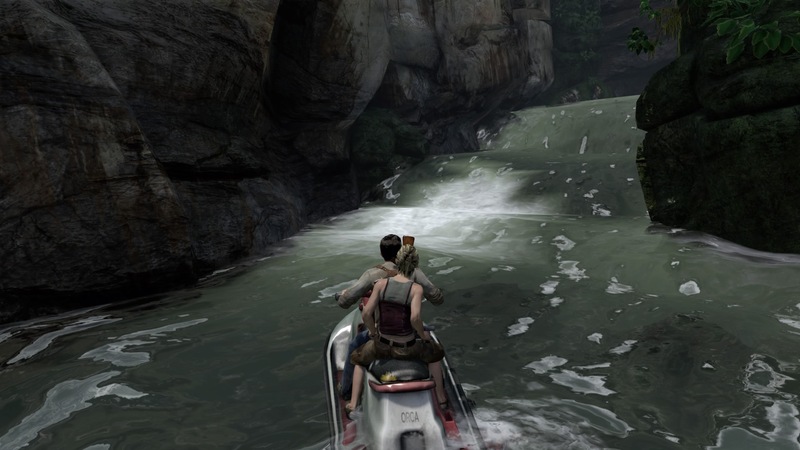 It is during this time that you get to ride a jet ski a couple of times with Nate driving and Elena behind him taking out the pirates that shoot at you as you travel the river. Beware of explosive barrels. Either shoot them or stay away from them if at all possible. I do have to say that the few times where you get to do the jet ski thing, I had died quite a few times. I want to say about 20% of it being the pirates shooting at you and this includes a couple of pirates with grenade launchers and 80% of it accidentally running into the barrels without shooting them beforehand. I also found when using the jet ski to go up the river is definitely tougher than the previous two times that you get to use the jet ski. So Elena and Nate find Sully helping out the bad guys trying to reach El Dorado. They found out that Sully was only sending them on the wild goose chase. A trio once again, Elena, Nate, and Sully go off to search for El Dorado, though at times, it’s just Nate goes ahead to make sure the coast is clear before Elena and Sully follow. 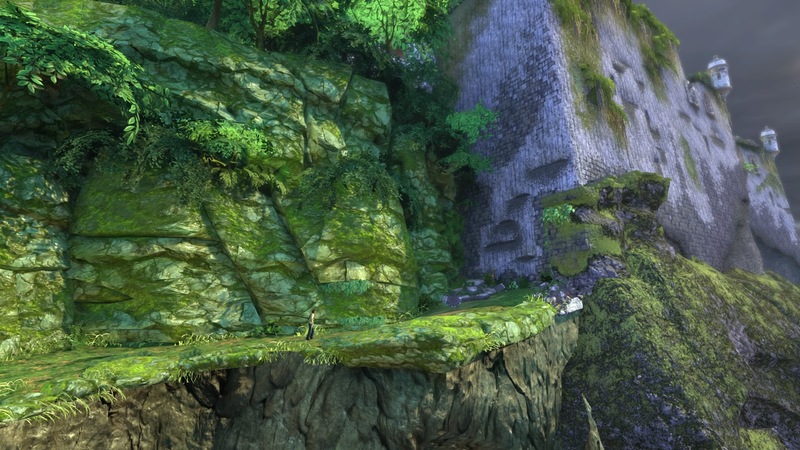 All the while, you fight pirates and solve puzzles to go to the next step in the story. I would like to mention that you fight some pretty nasty monsters that inhabit the island. Let’s just say with the ending of the story, you find the treasure just to fight Navarro (who was Gabriel Roman’s henchman) and save Elena and get some treasure in the end though not the treasure you were expecting. 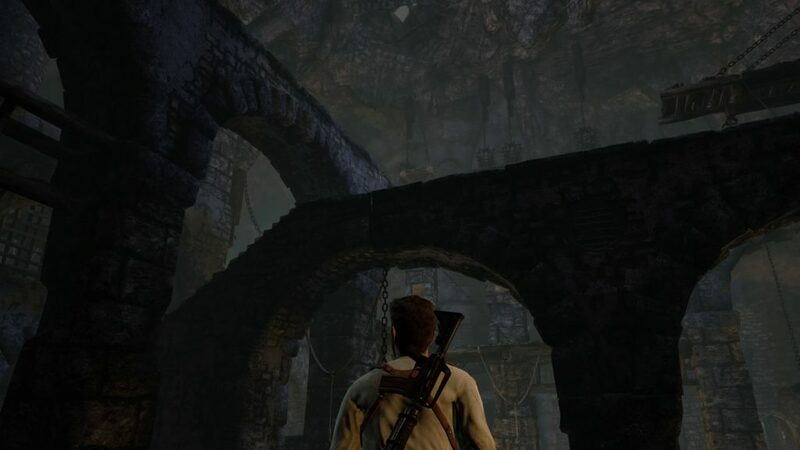 So here are my thoughts on Uncharted: Drake’s Fortune. I do have to say that for being a remastered PS3 game for the PS4, the graphics are amazing and looks like it was made for PS4 originally. There are even times when I am like Nate and is thinking where do these pirate guys come from? What’s even funny is that Nate even has a saying that is basically asking where the guys are coming from. Those pirates that have the grenade launchers are trouble some but I would definitely take the pirates over the monsters any day. Having the ability to swap out the different guns is nice but I wish that you are given the option of having more than two guns at a time which is a pistol gun and automatic gun. It would be useful to have more than two guns at a time especially when you are in the tough spot and run out of ammo. What’s also neat is that you are able to have grenades to throw at the pirates. I do enjoy the parts where it’s Elena and Nate because Elena is a help in clearing out the pirates. Elena does seem to be able to handle her own. The story I found to be entertaining and very good. The writers seemed to have done their research in writing the story especially when it came to any of the historical type information that they used in the story. Also, the interaction between the characters is really amazing, especially with the cutscenes. To me, it feels like you can really tell that the actors had acted it out and had put everything into their performances. Plus the banter that Elena and Nate have is quite entertaining and amusing at times as well as the times they (separate or together) interact with Sully. As far as the puzzles are in the game, they were fun though I wish they would have had a few more puzzles in the game. The gameplay was good as well considering that the game is 10 years old. Maybe having it remastered for the PS4 might have helped with the gameplay. 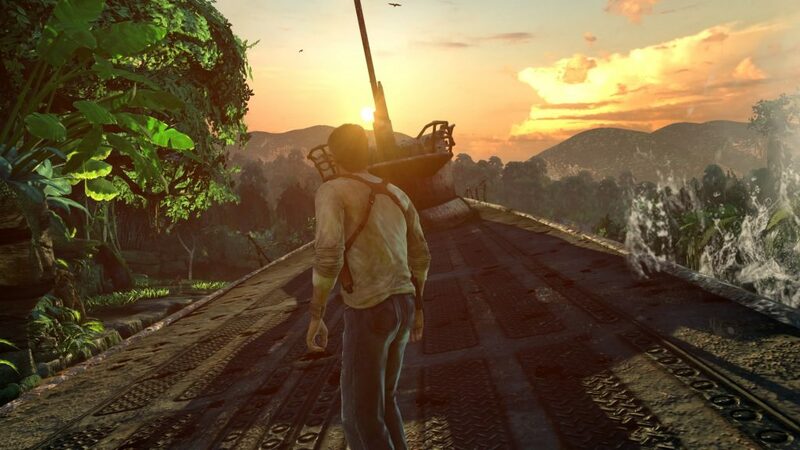 Overall, Uncharted: Drake’s Fortune is quite entertaining, has a wonderful story, characters, and beautiful graphics. If you are looking for a great video game with an amazing story and the bonus is you get to fight pirates and monsters all the while looking for treasure and solving puzzles, then I really recommend this game. Even if you don’t get into the puzzles, the game does give hints as to how you can solve it. 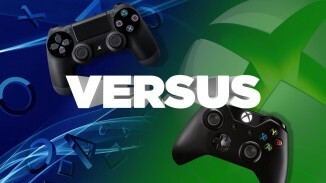 The only issue(s) that I have with the game, would be at times the left joystick would get stuck at times and moving the character would be a hassle till I had straighten out the left joystick. This could have been my controller. Anyways, other than the lagging of the character at times, I find that some parts was very difficult despite the game being on easy. It was almost like it was on hard or brutal at certain spots when it shouldn’t have been considering the game setting was on easy. 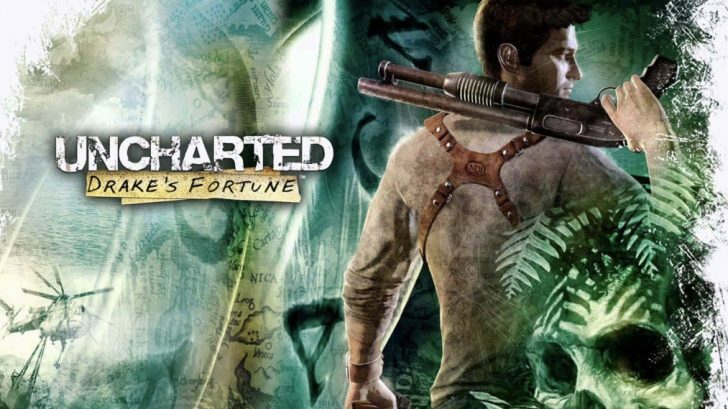 I would give Uncharted: Drake’s Fortune a 9 out of 10. This game was reviewed on PS4. 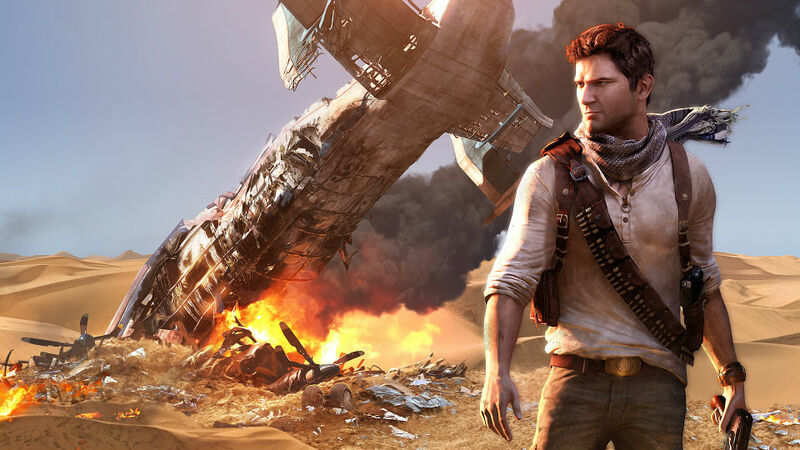 Uncharted: Drake’s Fortune is part of the bundle Uncharted: The Nathan Drake Collection in which you can get it from PlayStation here.